Cellular Respiration and Photosynthesis Manipulatives allow for hands-on, interactive learning. 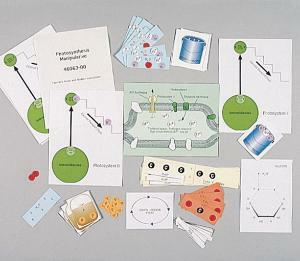 Developed by high school biology teacher Sharon Spencer, each kit includes five gigantic manipulatives. The manipulatives are ideal for group study or independent review.